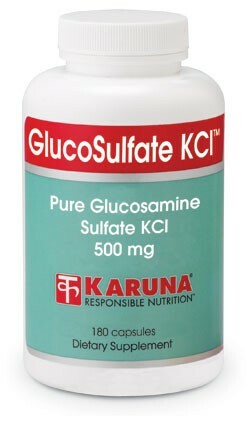 Glucosamine sulfate is an important precursor to mucopolysaccharides (MPS) or glycosaminoglycans (GAGs), which are major constituents of connective tissue vitally important for the development and repair of skin, cartilage, ligaments, bones, and the basement membrane of blood vessels and other tissues. 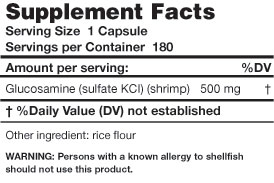 Potassium chloride is the preferred stabilizer of GS for anyone concerned about sodium intake. This single ingredient product offers flexibility when combined with other cartilage support solutions. Suggested use for adults: One capsule three times daily with meals, or as directed.